The Convention People’s Party (CPP) has made some three key amendments to its constitution at its delegates’ congress held at the weekend, where it ruled out any political alliance with the larger opposition parties. The amendments, which were instigated by the National Executive Committee (NEC) before the National Delegates’ Congress at the International Trade Fair Centre in Accra, were fully accepted by the delegates. As part of the amendments, for a member to be eligible to contest the position of a flagbearer, that person should be members of good standing in the party for five years and should have also held positions in the political grouping. Previously, presidential aspirants should have served for four years before becoming eligible for the position. The delegates also amended Articles 78 and 88 of the CPP constitution which allow for a separate event to be organized to elect the party’s national youth organizer, stating that the position shall be elected at the National Delegates’ Congress along with other high profile positions such as the presidential candidate. The third amendment sought to endorse the merger with other Nkrumahist parties like the Peoples’ National Convention (PNC) and the Progressive People’s Party (PPP). Prof Edmund Dele, National Chairman of the party, added that deliberations on the unity process would be closed by April this year. “We are prepared as a party to accommodate our brothers and sisters who belong to other Nkrumahist parties, in particular the PNC and the PPP. I’m happy to announce that the NEC has approved that we can go on with deliberations on this unity process and as long as they are prepared to listen to us, we would close our doors by April because CPP, well organized, should be able to go on its own. I don’t think we are prepared to keep on talking about the merger for three or four months,” Prof Dele stated. 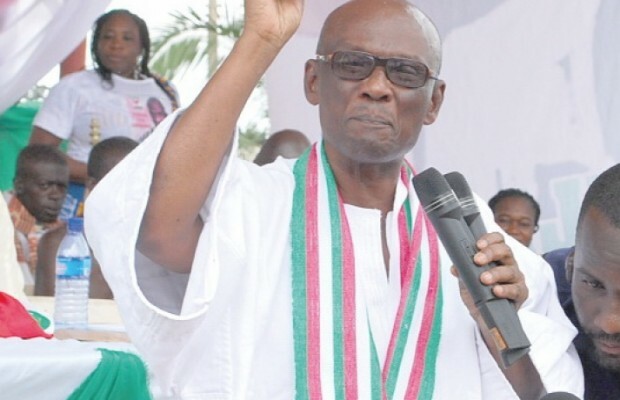 He disclosed that the CPP would not form an alliance with the New Patriotic Party (NPP) or the National Democratic Congress (NDC) in this year’s elections slated for November 7. “We are not under any circumstances going to tie our fortunes with any party again; we are not prepared to suffer again…..,” he averred.